The history of Earth and of the diversity of its organisms, both extinct and extant, are recorded in the fossils they've left behind. Everyone thinks they know what fossils are, but do you? When you go to a Science Museum and see a big dinosaur skeleton on display - are you looking at fossils or are you looking at bones? Can any organism get fossilized? What does it take to become a fossil? Do most organisms get fossilized, or just a few? Are there some species that have never been turned into fossils? How do we know anything about them? And just how long does the whole fossilization process take? Are Egyptian mummies considers fossils? To the right, a giant ammonite fossil. 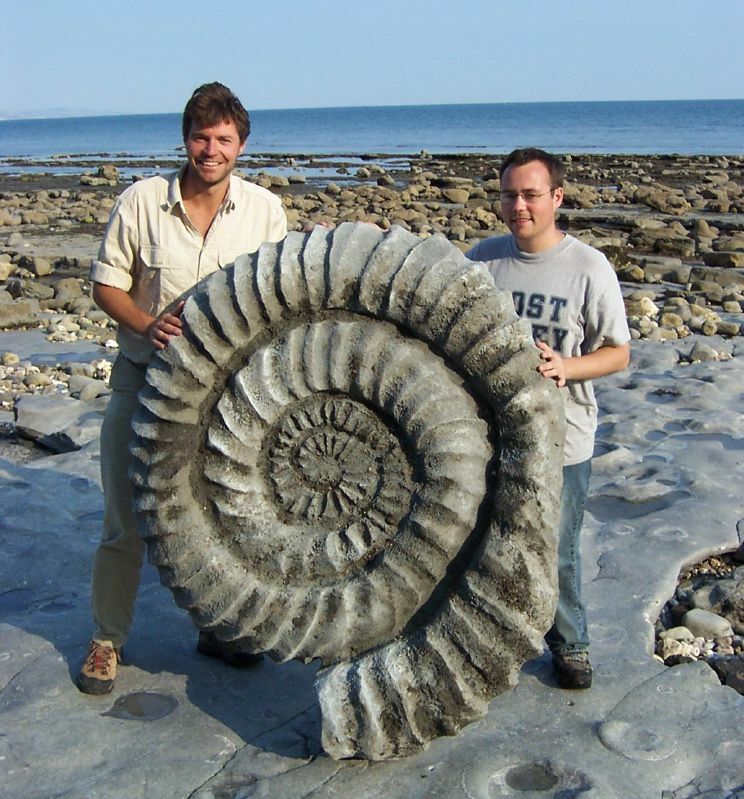 See here, here, or here to learn more about ammonites. A basic/elementary video on, "What's a Fossil?" Can you define and distinguish between the types? Watch this simple, brief BrainPop video on Fossil Formation, and then Quiz Yourself. Read this Encyclopedic Entry from National Geographic and take a look at the stunning fossil photos! Watch this video on how Lucy, one of humanity's most famous fossils, might have formed. Compare photos and background information on different fossilized organisms. Click here to observe an animation of a fossil being formed. What type of fossil is it (based on how it was formed)? Click step-by-step through a dinosaur being fossilized.